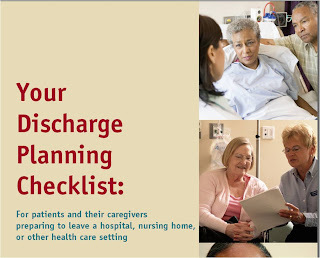 Medicare has a wonderful resource booklet consumers can print and take to the hospital. We have found one glaring error of omission from this helpful manual-that you should check the quality scores of area nursing homes and home health care providers just in case you will need help after your discharge. Cardiac Surgery, Hip/Knee Replacement, and heart failure are just a few diagnoses that typically generate a referral to post acute care (nursing homes and/or home health care). Choosing a quality nursing home or home health care provider is just as important as choosing the best doctor and hospital. You can sort on the quality information, print it out, and take it to the hospital to discuss with your social worker, discharge planner, nurse, or doctor. Let us know what you think about this information. We are here to help you find the best quality provider so we are always open to hearing from you. And if you have experience with a health care provider, please share it on WhereToFindCare.com and help others in your community find quality care. Great list! It's too bad I didn't get a hold of this list before my father got out of the hospital. It would have been so helpful. I'm keeping it, just in case.